Plato’s dialogues have been used to teach a range of subjects, including philosophy, logic, ethics, rhetoric, religion andmathematics. His theory of Forms began a unique perspective on abstract objects, and led to a school of thought called Platonism. Plato’s writings have been published in several fashions; this has led to several conventions regarding the naming and referencing of Plato’s texts. Little can be known about Plato’s early life and education, due to very few accounts. The philosopher came from one of the wealthiest and most politically active families in Athens. Ancient sources describe him as a bright though modest boy who excelled in his studies. His father contributed all which was necessary to give to his son a good education, and, therefore, Plato must have been instructed in grammar, music, gymnastics and philosophy by some of the most distinguished teachers of his era. The exact time and place of Plato’s birth are not known, but it is certain that he belonged to an aristocratic and influential family. Based on ancient sources, most modern scholars believe that he was born in Athens or Aegina between 429 and 423 BCE. His father was Ariston. According to a disputed tradition, reported by Diogenes Laertius, Ariston traced his descent from the king of Athens, Codrus, and the king of Messenia, Melanthus. Plato’s mother was Perictione, whose family boasted of a relationship with the famous Athenian lawmaker and lyric poet Solon. Perictione was sister of Charmides and niece of Critias, both prominent figures of the Thirty Tyrants, the brief oligarchic regime, which followed on the collapse of Athens at the end of the Peloponnesian War (404–403 BCE). Besides Plato himself, Ariston and Perictione had three other children; these were two sons, Adeimantus and Glaucon, and a daughter Potone, the mother of Speusippus (the nephew and successor of Plato as head of his philosophical Academy). The brothers Adeimantus and Glaucon are mentioned in the Republic as sons of Ariston, and presumably brothers of Plato, but some have argued they were uncles. But in a scenario in the Memorabilia, Xenophon confused the issue by presenting a Glaucon much younger than Plato. The traditional date of Plato’s birth (428/427) is based on a dubious interpretation of Diogenes Laertius, who says, “When [Socrates] was gone, [Plato] joined Cratylus the Heracleitean and Hermogenes, who philosophized in the manner of Parmenides. Then, at twenty-eight, Hermodorus says, [Plato] went to Euclides in Megara.” As Debra Nails argues, “The text itself gives no reason to infer that Plato left immediately for Megara and implies the very opposite.” In his Seventh Letter, Plato notes that his coming of age coincided with the taking of power by the Thirty, remarking, “But a youth under the age of twenty made himself a laughingstock if he attempted to enter the political arena.” Thus, Nails dates Plato’s birth to 424/423. Ariston appears to have died in Plato’s childhood, although the precise dating of his death is difficult. Perictione then married Pyrilampes, her mother’s brother, who had served many times as an ambassador to the Persian court and was a friend of Pericles, the leader of the democratic faction in Athens. Pyrilampes had a son from a previous marriage, Demus, who was famous for his beauty. Perictione gave birth to Pyrilampes’ second son, Antiphon, the half-brother of Plato, who appears in Parmenides. Although Socrates influenced Plato directly as related in the dialogues, the influence of Pythagoras upon Plato also appears to have significant discussion in the philosophical literature. Pythagoras, or in a broader sense, the Pythagoreans, allegedly exercised an important influence on the work of Plato. According to R. M. Hare, this influence consists of three points: (1) The platonic Republic might be related to the idea of “a tightly organized community of like-minded thinkers”, like the one established by Pythagoras in Croton. (2) There is evidence that Plato possibly took from Pythagoras the idea that mathematics and, generally speaking, abstract thinking is a secure basis for philosophical thinking as well as “for substantial theses in science and morals“. (3) Plato and Pythagoras shared a “mystical approach to the soul and its place in the material world”. It is probable that both were influenced by Orphism. Aristotle claimed that the philosophy of Plato closely followed the teachings of the Pythagoreans, and Cicero repeats this claim:Platonem ferunt didicisse Pythagorea omnia (“They say Plato learned all things Pythagorean”). Bertrand Russell, in his A History of Western Philosophy, contended that the influence of Pythagoras on Plato and others was so great that he should be considered the most influential of all Western philosophers. Plato never speaks in his own voice in his dialogues. In the Second Letter, it says, “no writing of Plato exists or ever will exist, but those now said to be his are those of a Socrates become beautiful and new” (341c); if the Letter is Plato’s, the final qualification seems to call into question the dialogues’ historical fidelity. In any case, Xenophon and Aristophanes seem to present a somewhat different portrait of Socrates from the one Plato paints. Some have called attention to the problem of taking Plato’s Socrates to be his mouthpiece, given Socrates’ reputation for irony and the dramatic nature of the dialogue form. Aristotle attributes a different doctrine with respect to the Ideas to Plato and Socrates (Metaphysics 987b1–11). Putting it in a nutshell, Aristotle merely suggests that Socrates’ idea of forms can be discovered through investigation of the natural world, unlike Plato’s Forms that exist beyond and outside the ordinary range of human understanding. Plato may have traveled in Italy, Sicily, Egypt and Cyrene, Libya. Said to have returned to Athens at the age of forty, Plato founded one of the earliest known organized schools in Western Civilization on a plot of land in the Grove of Hecademus or Academus. The Academy was a large enclosure of ground about six stadia outside of Athens proper. One story is that the name of the Academy comes from the ancient hero, Academus. Another story is that the name came from a supposed a former owner, a citizen of Athens also named Academus. Yet another account is that it was named after a member of the army of Castor and Pollux, an Arcadian named Echedemus. The Academy operated until it was destroyed by Lucius Cornelius Sulla in 84 BCE. Neoplatonists revived the Academy in the early 5th century, and it operated until AD 529, when it was closed by Justinian I of Byzantium, who saw it as a threat to the propagation of Christianity. Many intellectuals were schooled in the Academy, the most prominent one being Aristotle. Throughout his later life, Plato became entangled with the politics of the city of Syracuse. According to Diogenes Laertius, Plato initially visited Syracuse while it was under the rule of Dionysius. During this first trip Dionysius’s brother-in-law, Dion of Syracuse, became one of Plato’s disciples, but the tyrant himself turned against Plato. Plato almost faced death, but he was sold into slavery, then Anniceris bought Plato’s freedom for twenty minas, and sent him home. After Dionysius’s death, according to Plato’sSeventh Letter, Dion requested Plato return to Syracuse to tutor Dionysius II and guide him to become a philosopher king. Dionysius II seemed to accept Plato’s teachings, but he became suspicious of Dion, his uncle. Dionysius expelled Dion and kept Plato against his will. Eventually Plato left Syracuse. Dion would return to overthrow Dionysius and ruled Syracuse for a short time before being usurped by Calippus, a fellow disciple of Plato. A variety of sources have given accounts of Plato’s death. One story, based on a mutilated manuscript, suggests Plato died in his bed, whilst a young Thracian girl played the flute to him. Another tradition suggests Plato died at a wedding feast. The account is based on Diogenes Laertius’s reference to an account by Hermippus, a third-century Alexandrian. According to Tertullian, Plato simply died in his sleep. Plato often discusses the father-son relationship and the question of whether a father’s interest in his sons has much to do with how well his sons turn out. In ancient Athens, a boy was socially located by his family identity, and Plato often refers to his characters in terms of their paternal and fraternal relationships. Socrates was not a family man, and saw himself as the son of his mother, who was apparently a midwife. A divine fatalist, Socrates mocks men who spent exorbitant fees on tutors and trainers for their sons, and repeatedly ventures the idea that good character is a gift from the gods. Crito reminds Socrates that orphans are at the mercy of chance, but Socrates is unconcerned. In the Theaetetus, he is found recruiting as a disciple a young man whose inheritance has been squandered. Socrates twice compares the relationship of the older man and his boy lover to the father-son relationship (Lysis 213a, Republic 3.403b), and in the Phaedo, Socrates’ disciples, towards whom he displays more concern than his biological sons, say they will feel “fatherless” when he is gone. In several of Plato’s dialogues, Socrates promulgates the idea that knowledge is a matter of recollection, and not of learning, observation, or study. He maintains this view somewhat at his own expense, because in many dialogues, Socrates complains of his forgetfulness. Socrates is often found arguing that knowledge is not empirical, and that it comes from divine insight. In many middle period dialogues, such as the Phaedo,Republic and Phaedrus Plato advocates a belief in the immortality of the soul, and several dialogues end with long speeches imagining theafterlife. More than one dialogue contrasts knowledge and opinion, perception and reality, nature and custom, and body and soul. Several dialogues tackle questions about art: Socrates says that poetry is inspired by the muses, and is not rational. He speaks approvingly of this, and other forms of divine madness (drunkenness, eroticism, and dreaming) in the Phaedrus (265a–c), and yet in the Republic wants to outlaw Homer’s great poetry, and laughter as well. In Ion, Socrates gives no hint of the disapproval of Homer that he expresses in the Republic. The dialogue Ion suggests that Homer‘s Iliad functioned in the ancient Greek world as the Bible does today in the modern Christian world: as divinely inspired literature that can provide moral guidance, if only it can be properly interpreted. “Platonism” is a term coined by scholars to refer to the intellectual consequences of denying, as Plato’s Socrates often does, the reality of the material world. In several dialogues, most notably the Republic, Socrates inverts the common man’s intuition about what is knowable and what is real. While most people take the objects of their senses to be real if anything is, Socrates is contemptuous of people who think that something has to be graspable in the hands to be real. In the Theaetetus, he says such people are eu amousoi (εὖ ἄμουσοι), an expression that means literally, “happily without the muses” (Theaetetus 156a). In other words, such people live without the divine inspiration that gives him, and people like him, access to higher insights about reality. Socrates’s idea that reality is unavailable to those who use their senses is what puts him at odds with the common man, and with common sense. Socrates says that he who sees with his eyes is blind, and this idea is most famously captured in his allegory of the cave, and more explicitly in his description of the divided line. The allegory of the cave (begins Republic 7.514a) is a paradoxical analogy wherein Socrates argues that the invisible world is the most intelligible (“noeton”) and that the visible world (“(h)oraton”) is the least knowable, and the most obscure. According to Socrates, physical objects and physical events are “shadows” of their ideal or perfect forms, and exist only to the extent that they instantiate the perfect versions of themselves. Just as shadows are temporary, inconsequential epiphenomena produced by physical objects, physical objects are themselves fleeting phenomena caused by more substantial causes, the ideals of which they are mere instances. For example, Socrates thinks that perfect justice exists (although it is not clear where) and his own trial would be a cheap copy of it. The allegory of the cave (often said by scholars to represent Plato’s own epistemology and metaphysics) is intimately connected to his political ideology (often said to also be Plato’s own), that only people who have climbed out of the cave and cast their eyes on a vision of goodness are fit to rule. Socrates claims that the enlightened men of society must be forced from their divine contemplations and be compelled to run the city according to their lofty insights. Thus is born the idea of the “philosopher-king“, the wise person who accepts the power thrust upon him by the people who are wise enough to choose a good master. This is the main thesis of Socrates in the Republic, that the most wisdom the masses can muster is the wise choice of a ruler. The theory of Forms (or theory of Ideas) typically refers to the belief that the material world as it seems to us is not the real world, but only an “image” or “copy” of the real world. In some of Plato’s dialogues, this is expressed by Socrates, who spoke of forms in formulating a solution to the problem of universals. The forms, according to Socrates, arearchetypes or abstract representations of the many types of things, and properties we feel and see around us, that can only be perceived by reason (Greek: λογική). (That is, they are universals.) In other words, Socrates was able to recognize two worlds: the apparent world, which constantly changes, and an unchanging and unseen world of forms, which may be the cause of what is apparent. Many have interpreted Plato as stating—even having been the first to write—that knowledge is justified true belief, an influential view that informed future developments in epistemology. This interpretation is partly based on a reading of the Theaetetus wherein Plato argues that knowledge is distinguished from mere true belief by the knower having an “account” of the object of her or his true belief (Theaetetus 201c–d). And this theory may again be seen in the Meno, where it is suggested that true belief can be raised to the level of knowledge if it is bound with an account as to the question of “why” the object of the true belief is so (Meno 97d–98a). Many years later, Edmund Gettier famously demonstrated the problems of the justified true belief account of knowledge. That the modern theory of justified true belief as knowledge which Gettier addresses is equivalent to Plato’s is accepted by some scholars but rejected by others. Plato himself also identified problems with the justified true belief definition in theTheaetetus, concluding that justification (or an “account”) would require knowledge of differentness, meaning that the definition of knowledge is circular (Theaetetus 210a–b). Later in the Meno, Socrates uses a geometrical example to expound Plato’s view that knowledge in this latter sense is acquired by recollection. Socrates elicits a fact concerning a geometrical construction from a slave boy, who could not have otherwise known the fact (due to the slave boy’s lack of education). The knowledge must be present, Socrates concludes, in an eternal, non-experiential form. In other dialogues, the Sophist, Statesman, Republic, and the Parmenides, Plato himself associates knowledge with the apprehension of unchanging Forms and their relationships to one another (which he calls “expertise” in Dialectic), including through the processes of collection and division. More explicitly, Plato himself argues in theTimaeus that knowledge is always proportionate to the realm from which it is gained. In other words, if one derives one’s account of something experientially, because the world of sense is in flux, the views therein attained will be mere opinions. And opinions are characterized by a lack of necessity and stability. On the other hand, if one derives one’s account of something by way of the non-sensible forms, because these forms are unchanging, so too is the account derived from them. That apprehension of forms is required for knowledge may be taken to cohere with Plato’s theory in the Theaetetus and Meno. Indeed, the apprehension of Forms may be at the base of the “account” required for justification, in that it offers foundational knowledge which itself needs no account, thereby avoiding an infinite regression. Plato’s philosophical views had many societal implications, especially on the idea of an ideal state or government. There is some discrepancy between his early and later views. Some of the most famous doctrines are contained in the Republic during his middle period, as well as in the Laws and the Statesman. However, because Plato wrote dialogues, it is assumed that Socrates is often speaking for Plato. This assumption may not be true in all cases. Plato describes these “philosopher kings” as “those who love the sight of truth” (Republic 475c) and supports the idea with the analogy of a captain and his ship or a doctor and his medicine. According to him, sailing and health are not things that everyone is qualified to practice by nature. A large part of the Republic then addresses how the educational system should be set up to produce these philosopher kings. However, it must be taken into account that the ideal city outlined in the Republic is qualified by Socrates as the ideal luxurious city, examined to determine how it is that injustice and justice grow in a city (Republic 372e). According to Socrates, the “true” and “healthy” city is instead the one first outlined in book II of the Republic, 369c–372d, containing farmers, craftsmen, merchants, and wage-earners, but lacking the guardian class of philosopher-kings as well as delicacies such as “perfumed oils, incense, prostitutes, and pastries”, in addition to paintings, gold, ivory, couches, a multitude of occupations such as poets and hunters, and war. In addition, the ideal city is used as an image to illuminate the state of one’s soul, or the will, reason, and desires combined in the human body. Socrates is attempting to make an image of a rightly ordered human, and then later goes on to describe the different kinds of humans that can be observed, from tyrants to lovers of money in various kinds of cities. The ideal city is not promoted, but only used to magnify the different kinds of individual humans and the state of their soul. However, the philosopher king image was used by many after Plato to justify their personal political beliefs. The philosophic soul according to Socrates has reason, will, and desires united in virtuous harmony. A philosopher has the moderate love for wisdom and the courage to act according to wisdom. Wisdom is knowledge about the Good or the right relations between all that exists. Wherein it concerns states and rulers, Plato has made interesting arguments. For instance he asks which is better—a bad democracy or a country reigned by a tyrant. He argues that it is better to be ruled by a bad tyrant, than be a bad democracy (since here all the people are now responsible for such actions, rather than one individual committing many bad deeds.) This is emphasised within the Republic as Plato describes the event of mutiny on board a ship. Plato suggests the ships crew to be in line with the democratic rule of many and the captain, although inhibited through ailments, the tyrant. Plato’s description of this event is parallel to that of democracy within the state and the inherent problems that arise. According to Plato, a state made up of different kinds of souls will, overall, decline from an aristocracy (rule by the best) to a timocracy (rule by the honorable), then to anoligarchy (rule by the few), then to a democracy (rule by the people), and finally to tyranny (rule by one person, rule by a tyrant). Aristocracy is the form of government (politeia) advocated in Plato’s Republic. This regime is ruled by a philosopher king, and thus is grounded on wisdom and reason. The aristocratic state, and the man whose nature corresponds to it, are the objects of Plato’s analyses throughout much of the Republic, as opposed to the other four types of states/men, who are discussed later in his work. In Book VIII, Plato states in order the other four imperfect societies with a description of the state’s structure and individual character. In timocracy the ruling class is made up primarily of those with a warrior-like character. In his description, Plato has Sparta in mind. Oligarchy is made up of a society in which wealth is the criterion of merit and the wealthy are in control. In democracy, the state bears resemblance to ancient Athens with traits such as equality of political opportunity and freedom for the individual to do as he likes. Democracy then degenerates into tyranny from the conflict of rich and poor. It is characterized by an undisciplined society existing in chaos, where the tyrant rises as popular champion leading to the formation of his private army and the growth of oppression. For a long time, Plato’s unwritten doctrine had been controversial. Many modern books on Plato seem to diminish its importance; nevertheless, the first important witness who mentions its existence is Aristotle, who in his Physics (209 b) writes: “It is true, indeed, that the account he gives there [i.e. in Timaeus] of the participant is different from what he says in his so-called unwritten teachings (ἄγραφα δόγματα).” The term “ἄγραφα δόγματα” literally means unwritten doctrines and it stands for the most fundamental metaphysical teaching of Plato, which he disclosed only orally, and some say only to his most trusted fellows, and which he may have kept secret from the public. The importance of the unwritten doctrines does not seem to have been seriously questioned before the 19th century. A reason for not revealing it to everyone is partially discussed in Phaedrus (276 c) where Plato criticizes the written transmission of knowledge as faulty, favoring instead the spoken logos: “he who has knowledge of the just and the good and beautiful … will not, when in earnest, write them in ink, sowing them through a pen with words, which cannot defend themselves by argument and cannot teach the truth effectually.” The same argument is repeated in Plato’s Seventh Letter (344 c): “every serious man in dealing with really serious subjects carefully avoids writing.” In the same letter he writes (341 c): “I can certainly declare concerning all these writers who claim to know the subjects that I seriously study … there does not exist, nor will there ever exist, any treatise of mine dealing therewith.” Such secrecy is necessary in order not “to expose them to unseemly and degrading treatment” (344 d). It is, however, said that Plato once disclosed this knowledge to the public in his lecture On the Good (Περὶ τἀγαθοῦ), in which the Good (τὸ ἀγαθόν) is identified with the One (the Unity, τὸ ἕν), the fundamental ontological principle. The content of this lecture has been transmitted by several witnesses. Aristoxenus describes the event in the following words: “Each came expecting to learn something about the things that are generally considered good for men, such as wealth, good health, physical strength, and altogether a kind of wonderful happiness. But when the mathematical demonstrations came, including numbers, geometrical figures and astronomy, and finally the statement Good is One seemed to them, I imagine, utterly unexpected and strange; hence some belittled the matter, while others rejected it.” Simplicius quotes Alexander of Aphrodisias, who states that “according to Plato, the first principles of everything, including the Forms themselves are One and Indefinite Duality (ἡ ἀόριστος δυάς), which he called Large and Small (τὸ μέγα καὶ τὸ μικρόν)”, and Simplicius reports as well that “one might also learn this from Speusippus and Xenocrates and the others who were present at Plato’s lecture on the Good”. Their account is in full agreement with Aristotle’s description of Plato’s metaphysical doctrine. In Metaphysics he writes: “Now since the Forms are the causes of everything else, he [i.e. Plato] supposed that their elements are the elements of all things. Accordingly the material principle is the Great and Small [i.e. the Dyad], and the essence is the One (τὸ ἕν), since the numbers are derived from the Great and Small by participation in the One” (987 b). “From this account it is clear that he only employed two causes: that of the essence, and the material cause; for the Forms are the cause of the essence in everything else, and the One is the cause of it in the Forms. He also tells us what the material substrate is of which the Forms are predicated in the case of sensible things, and the One in that of the Forms – that it is this the duality (the Dyad, ἡ δυάς), the Great and Small (τὸ μέγα καὶ τὸ μικρόν). Further, he assigned to these two elements respectively the causation of good and of evil” (988 a). The most important aspect of this interpretation of Plato’s metaphysics is the continuity between his teaching and the neoplatonic interpretation of Plotinus or Ficino which has been considered erroneous by many but may in fact have been directly influenced by oral transmission of Plato’s doctrine. A modern scholar who recognized the importance of the unwritten doctrine of Plato was Heinrich Gomperz who described it in his speech during the 7th International Congress of Philosophy in 1930. All the sources related to the ἄγραφα δόγματα have been collected by Konrad Gaiser and published as Testimonia Platonica. These sources have subsequently been interpreted by scholars from the German Tübingen School of interpretation such as Hans Joachim Krämer or Thomas A. Szlezák. Thirty-five dialogues and thirteen letters (the Epistles) have traditionally been ascribed to Plato, though modern scholarship doubts the authenticity of at least some of these. Plato’s writings have been published in several fashions; this has led to several conventions regarding the naming and referencing of Plato’s texts. The usual system for making unique references to sections of the text by Plato derives from a 16th-century edition of Plato’s works by Henricus Stephanus. An overview of Plato’s writings according to this system can be found in the Stephanus pagination article. One tradition regarding the arrangement of Plato’s texts is according to tetralogies. This scheme is ascribed by Diogenes Laertius to an ancient scholar and court astrologer toTiberius named Thrasyllus. In the list below, works by Plato are marked (1) if there is no consensus among scholars as to whether Plato is the author, and (2) if most scholars agree that Plato is not the author of the work. Unmarked works are assumed to have been written by Plato. IX. Minos (2), Laws, Epinomis (2), Epistles (1). Axiochus (2), Definitions (2), Demodocus (2), Epigrams (2), Eryxias (2), Halcyon (2), On Justice (2), On Virtue (2), Sisyphus (2).The remaining works were transmitted under Plato’s name, most of them already considered spurious in antiquity, and so were not included by Thrasyllus in his tetralogical arrangement. These works are labelled as Notheuomenoi (“spurious”) or Apocrypha. Lewis Campbell was the first to make exhaustive use of stylometry to prove objectively that the Critias, Timaeus, Laws, Philebus,Sophist, and Statesman were all clustered together as a group, while the Parmenides, Phaedrus, Republic, and Theaetetus belong to a separate group, which must be earlier (given Aristotle’s statement in his Politics that the Laws was written after the Republic; cf. Diogenes Laertius Lives 3.37). What is remarkable about Campbell’s conclusions is that, in spite of all the stylometric studies that have been conducted since his time, perhaps the only chronological fact about Plato’s works that can now be said to be proven by stylometry is the fact that Critias, Timaeus, Laws, Philebus, Sophist, and Statesman are the latest of Plato’s dialogues, the others earlier. Increasingly in the most recent Plato scholarship, writers are skeptical of the notion that the order of Plato’s writings can be established with any precision, though Plato’s works are still often characterized as falling at least roughly into three groups. The following represents one relatively common such division. It should, however, be kept in mind that many of the positions in the ordering are still highly disputed, and also that the very notion that Plato’s dialogues can or should be “ordered” is by no means universally accepted. Among those who classify the dialogues into periods of composition, Socrates figures in all of the “early dialogues” and they are considered the most faithful representations of the historical Socrates. They include The Apology of Socrates, Charmides, Crito, Euthyphro, Ion, Laches, Lesser Hippias, Lysis, Menexenus, and Protagoras (often considered one of the last of the “early dialogues”). Three dialogues are often considered “transitional” or “pre-middle”: Euthydemus, Gorgias, and Meno. Whereas those classified as “early dialogues” often conclude in aporia, the so-called “middle dialogues” provide more clearly stated positive teachings that are often ascribed to Plato such as the theory of Forms. These dialogues include Cratylus, Phaedo, Phaedrus, Republic, Symposium, Parmenides, and Theaetetus. Proponents of dividing the dialogues into periods often consider the Parmenides and Theaetetus to come late in this period and be transitional to the next, as they seem to treat the theory of Forms critically (Parmenides) or not at all (Theaetetus). The first book of the Republic is often thought to have been written significantly earlier than the rest of the work, although possibly having undergone revisions when the later books were attached to it. The remaining dialogues are classified as “late” and are generally agreed to be difficult and challenging pieces of philosophy. This grouping is the only one proven by stylometric analysis. While looked to for Plato’s “mature” answers to the questions posed by his earlier works, those answers are difficult to discern. Some scholars indicate that the theory of Forms is absent from the late dialogues, its having been refuted in the Parmenides, but there isn’t total consensus that the Parmenides actually refutes the theory of Forms. The so-called “late dialogues” include Critias, Laws, Philebus, Sophist, Statesman, and Timaeus. Plato never presents himself as a participant in any of the dialogues, and with the exception of the Apology, there is no suggestion that he heard any of the dialogues firsthand. Some dialogues have no narrator but have a pure “dramatic” form (examples: Meno, Gorgias, Phaedrus, Crito, Euthyphro), some dialogues are narrated by Socrates, wherein he speaks in first person (examples: Lysis, Charmides, Republic). One dialogue, Protagoras, begins in dramatic form but quickly proceeds to Socrates’ narration of a conversation he had previously with the sophist for whom the dialogue is named; this narration continues uninterrupted till the dialogue’s end. Two dialogues Phaedo and Symposium also begin in dramatic form but then proceed to virtually uninterrupted narration by followers of Socrates. Phaedo, an account of Socrates’ final conversation and hemlock drinking, is narrated by Phaedo to Echecrates in a foreign city not long after the execution took place. The Symposium is narrated by Apollodorus, a Socratic disciple, apparently to Glaucon. Apollodorus assures his listener that he is recounting the story, which took place when he himself was an infant, not from his own memory, but as remembered by Aristodemus, who told him the story years ago. The Theaetetus is a peculiar case: a dialogue in dramatic form imbedded within another dialogue in dramatic form. In the beginning of the Theaetetus (142c-143b), Euclides says that he compiled the conversation from notes he took based on what Socrates told him of his conversation with the title character. The rest of the Theaetetus is presented as a “book” written in dramatic form and read by one of Euclides’ slaves (143c). Some scholars take this as an indication that Plato had by this date wearied of the narrated form. With the exception of the Theaetetus, Plato gives no explicit indication as to how these orally transmitted conversations came to be written down. The trial of Socrates is the central, unifying event of the great Platonic dialogues. Because of this, Plato’s Apology is perhaps the most often read of the dialogues. In theApology, Socrates tries to dismiss rumors that he is a sophist and defends himself against charges of disbelief in the gods and corruption of the young. Socrates insists that long-standing slander will be the real cause of his demise, and says the legal charges are essentially false. Socrates famously denies being wise, and explains how his life as a philosopher was launched by the Oracle at Delphi. He says that his quest to resolve the riddle of the oracle put him at odds with his fellow man, and that this is the reason he has been mistaken for a menace to the city-state of Athens. If Plato’s important dialogues do not refer to Socrates’ execution explicitly, they allude to it, or use characters or themes that play a part in it. Five dialogues foreshadow the trial: In the Theaetetus (210d) and the Euthyphro (2a–b) Socrates tells people that he is about to face corruption charges. In the Meno (94e–95a), one of the men who brings legal charges against Socrates, Anytus, warns him about the trouble he may get into if he does not stop criticizing important people. In the Gorgias, Socrates says that his trial will be like a doctor prosecuted by a cook who asks a jury of children to choose between the doctor’s bitter medicine and the cook’s tasty treats (521e–522a). In the Republic (7.517e), Socrates explains why an enlightened man (presumably himself) will stumble in a courtroom situation. The Apology is Socrates’ defense speech, and the Crito and Phaedo take place in prison after the conviction. In the Protagoras, Socrates is a guest at the home of Callias, son of Hipponicus, a man whom Socrates disparages in the Apology as having wasted a great amount of money on sophists’ fees. In the dialogues Plato is most celebrated and admired for, Socrates is concerned with human and political virtue, has a distinctive personality, and friends and enemies who “travel” with him from dialogue to dialogue. This is not to say that Socrates is consistent: a man who is his friend in one dialogue may be an adversary or subject of his mockery in another. For example, Socrates praises the wisdom of Euthyphro many times in the Cratylus, but makes him look like a fool in the Euthyphro. He disparages sophists generally, and Prodicus specifically in the Apology, whom he also slyly jabs in the Cratylus for charging the hefty fee of fifty drachmas for a course on language and grammar. However, Socrates tells Theaetetus in his namesake dialogue that he admires Prodicus and has directed many pupils to him. Socrates’ ideas are also not consistent within or between or among dialogues. “The safest general characterisation of the European philosophical tradition is that it consists of a series of footnotes to Plato.” (Alfred North Whitehead, Process and Reality, 1929). Although their popularity has fluctuated over the years, the works of Plato have never been without readers since the time they were written. 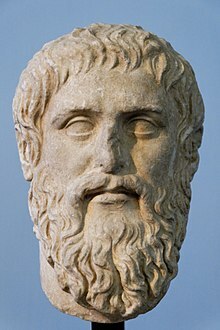 Plato’s thought is often compared with that of his most famous student, Aristotle, whose reputation during the Western Middle Ages so completely eclipsed that of Plato that the Scholastic philosophers referred to Aristotle as “the Philosopher”. However, in theByzantine Empire, the study of Plato continued. The Medieval scholastic philosophers did not have access to most of the works of Plato, nor the knowledge of Greek needed to read them. Plato’s original writings were essentially lost to Western civilization until they were brought from Constantinople in the century of its fall, by George Gemistos Plethon. It is believed that Plethon passed a copy of the Dialogues to Cosimo de’ Medici when in 1438 the Council of Ferrara, called to unify the Greek and Latin Churches, was adjourned to Florence, where Plethon then lectured on the relation and differences of Plato and Aristotle, and fired Cosimo with his enthusiasm. During the early Islamic era, Persian and Arab scholars translated much of Plato into Arabic and wrote commentaries and interpretations on Plato’s, Aristotle’s and other Platonist philosophers’ works (see Al-Farabi, Avicenna, Averroes, Hunayn ibn Ishaq). Many of these comments on Plato were translated from Arabic into Latin and as such influenced Medieval scholastic philosophers. Only in the Renaissance, with the general resurgence of interest in classical civilization, did knowledge of Plato’s philosophy become widespread again in the West. Many of the greatest early modern scientists and artists who broke with Scholasticism and fostered the flowering of the Renaissance, with the support of the Plato-inspired Lorenzo de Medici, saw Plato’s philosophy as the basis for progress in the arts and sciences. By the 19th century, Plato’s reputation was restored, and at least on par with Aristotle’s. The oldest surviving complete manuscript for many of the dialogues is the Clarke Plato (Codex Oxoniensis Clarkianus 39, or Codex Boleianus MS E.D. Clarke 39), which was written in Constantinople in 895 and acquired by Oxford University in 1809. The Clarke is given the siglum B in modern editions. B contains the first six tetralogies and is described internally as being written by “John the Calligrapher” on behalf of Arethas of Caesarea. It appears to have undergone corrections by Arethas himself. For the last two tetralogies and the apocrypha, the oldest surviving complete manuscript is Codex Parisinus graecus 1807, designated A, which was written nearly contemporaneously to B, circa 900 AD. A probably had an initial volume containing the first 7 tetralogies which is now lost, but of which a copy was made, Codex Venetus append. class. 4, 1, which has the siglum T. The oldest manuscript for the seventh tetralogy is Codex Vindobonensis 54. suppl. phil. Gr. 7, with siglum W, with a supposed date in the twelfth century. In total there are fifty-one such Byzantine manuscripts known, while others may yet be found. To help establish the text, the older evidence of papyri and the independent evidence of the testimony of commentators and other authors (i.e., those who quote and refer to an old text of Plato which is no longer extant) are also used. Many papyri which contain fragments of Plato’s texts are among the Oxyrhynchus Papyri. The 2003 Oxford Classical Texts edition by Slings even cites the Coptic translation of a fragment of the Republic in the Nag Hammadi library as evidence. Important authors for testimony includeOlympiodorus the Younger, Plutarch, Proclus, Iamblichus, Eusebius, and Stobaeus. During the early Renaissance, the Greek language and, along with it, Plato’s texts were reintroduced to Western Europe by Byzantine scholars. In 1484 there was published a Latin edition of Plato’s complete works translated by Marsilio Ficino at the behest of Cosimo de’ Medici. Cosimo had been influenced toward studying Plato by the many Byzantine Platonists in Florence during his day, including George Gemistus Plethon. Henri Estienne’s edition, including parallel Greek and Latin, was published in 1578. It was this edition which established Stephanus pagination, still in use today.